UK mobile network providers O2, T-Mobile and Vodafone are all confirmed to offer the upcoming Nokia N8 handset for free on two year, £35 per month contracts when the Finnish company's flagship device is released later this month. Available direct from the Nokiadirect website, the N8, tipped as Nokia's saviour, will be the first handset to run the Symbian 3 operating system and will come equipped with a 12-megapixel camera with 720p HD video recording capabilities. All three service providers are offering the N8 with similar two year packages that will include unlimited text messages, unlimited browsing and a free mini HDMI TV cable to further enjoy the handset's HD recording capabilities from a bigger screen. Separating the three network packages, however, is the inclusive anytime minutes. Whilst Vodafone and O2 are both including 600 minutes forcustomer's £35 per month, T-Mobile appears to have trumped the competition offering the Symbian 3 device with 900 anytime monthly minutes. Available in five colours the new Nokia smartphone will feature a 3.5-inch multitouch capable screen, 16GB of internal storage and a dual chip processor for speedy use of apps available through the Nokia Ovi store. 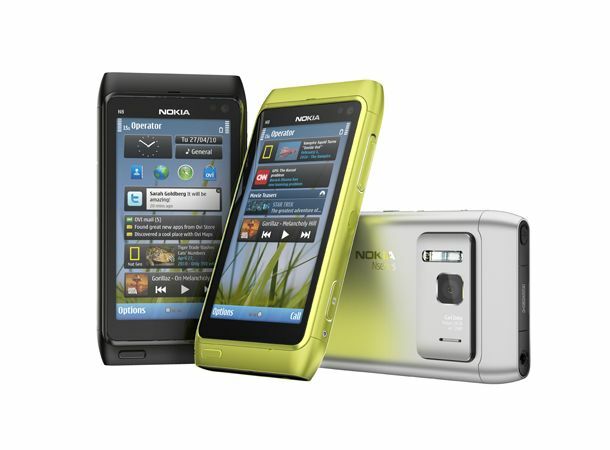 For all the latest on the Nokia N8 and its imminent release sign up to the T3 Twitter and Facebook pages and stay tuned to T3.com.